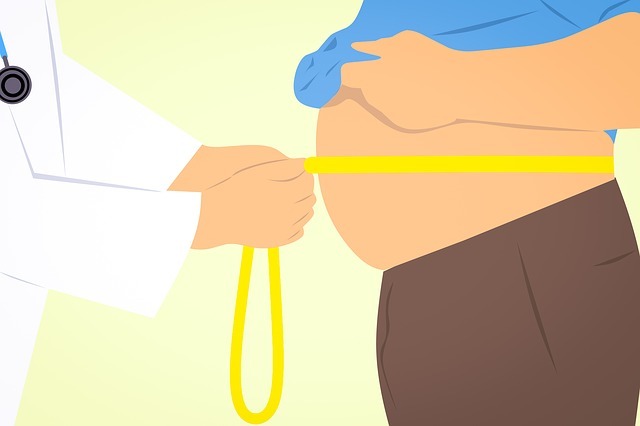 Negligence in today's busy lifestyle, stress and eating habits is becoming the cause of obesity, which is the most important reason for weight gain. These days it is becoming a common problem. In India, almost every household is suffering from this disease. Many times more weight can also embarrass you. Not only that, obesity also leads to many other serious health problems. It is clear that obesity is not helpful in any way but it is harmful to our health. Obesity affects your body as well as you. You feel that having a thicker layer on your skin is not a big thing, but there are many serious consequences, such as breathing and sweating, doing more or less sleep, walking a little But breathing in the breath, or breathing fast, swelling in different parts of the body, fat burning in the various parts of the body, mental and psychological symptoms such as self esteem , Symptoms can be seen as lacking in confidence. Apart from this obesity increases the likelihood of type 2 diabetes. It also increases the chances of getting heart disease. Some other issues like reduction of arthritis and vitality are also a result of obesity. The cause of weight gain is disease or medicine. Eating large and heavy quantities increases weight. Often eating dessert and heavy foods, it affects the digestive system and weight gain in large amounts. It is also known for imbalance fire. Much more dry, spicy and oil intake of food consumes food intake which increases the digestive power (fire). Food items which remain high in sugar content also increase cough defects. These foods lead to accumulation of fat in the body and cause obesity. Always lying on the couch is not good in any way for your weight loss goal. Not enough ways to stay active and not doing exercises is one of the main reasons for obesity. You need to be dynamic to get your body healthy and in shape. Taking adequate sleep or sleeping over need leads to obesity. Your body is not able to burn calories properly if you do not take at least 7-8 hours of sleep in one day. Alternatively, taking too much sleep leads to the problem of inactivity and slow metabolism. Each person's metabolic system works in a unique way. Some have a skilled and fast-acting metabolic system that does not accumulate fat, while some perform slow work, which leads to weight gain. Sometimes a person suffers from a certain disease, whose side effects are obesity. Some medicines play an important role in shaping your weight. These are not one of the most common reasons for weight gain, but in some cases, this happens. Occasionally, genetics and heredity play a major role in deciding whether a person will be a victim of obesity or not. Such cases are rare. Genetic - It depends on your ancestry, how efficiently your body transforms food into energy, and how many calories it decreases during exercise. Family lifestyle - comes from the previous generation in the obesity family. If the mother or father or both have obesity, then the risk of becoming obese increases. Staying inactive - If you are not active, you will not be able to reduce as many calories as you want. Because of this kind of motionless lifestyle, you will need to take more calories than you need to reduce your exercise. Unhealthy diet - Diet, and beverages, which are lacking in fruits and vegetables, are full of calories, they can make you fat. Obesity is also due to excessive eating. Medical problems - Arthritis also decreases the activity of the body, due to which obesity increases. Age - Obesity can occur at any age. But as soon as your age increases, hormonal changes and less active lifestyle increase the risk of your obesity. Pregnancy - During pregnancy, the weight of women increases. After having a baby, some women have difficulty reducing weight. Due to the increased weight, women may have obesity. Lack of sleep - by not taking enough sleep or taking more sleep, hormonal changes occur, which increases appetite. Many people are suffering from obesity. There are many reasons for obesity, such as heavy and sweet foods, excessive eating, a decrease in physical exercise etc. If you want to lose weight then you will need to make some changes in your lifestyle. These healthy changes will help reduce your obesity problem. To avoid this problem, do not consume heavy, cold and sweet food as much as possible. If sugar is harmful to this problem then you can use honey instead of sugar. You start your day with a glass of hot water. Hot water will be great for you. If you want, add lemon juice and ginger paste in hot water, which will help your metabolic system work properly. Eat fresh fruits and vegetables but do not consume too much-uncooked vegetables. Sprouted grains will be great for you. You should consume 2-3 cups of green tea every day. Hot milk is good for you but avoid consuming milk products like cheese and butter. Avoid using cold drinks and drink hot drinks like tea and coffee. Because according to Ayurveda, increase in cough defects increases obesity, so do not consume foods that increase a cough. Eat fewer meals on the plate to eat food. If you want to eat more then take it again, thus you can avoid eating too much. You can eat a little bit at regular intervals. You make sure that you eat food at the same time every day. This will be very good for your routine and will control your weight. Avoid eating junk food and eat nuts in snacks. One of the main reasons for weight gain is also lack of physical activity. So stop yourself from being lazy and sluggish and start exercising. It's a good way for you to walk fast or to run. You can start with a light exercise and raise your level according to your body's ability. Fat tissue burns due to workouts. It also helps to release endorphins in your body that reduce stress. This ensures that you do not eat more food because of stress. If you do not sleep for 7-8 hours on a daily basis, then your body and mind are not refreshed and you go through a problem like stress. You eat more in stress than fat increases. On the other hand, if you sleep more than you need, your body does not have sufficient physical activity and your metabolism becomes slow. So take proper sleep and apply sleep around the same time every day. Go to bed early and get up early. This routine will make you healthy from the inside. If your body mass index falls into the category of obesity, then the doctor will check your health history. He will do your physical examination and suggest some tests. The doctor can also check the health history of your family. 3. 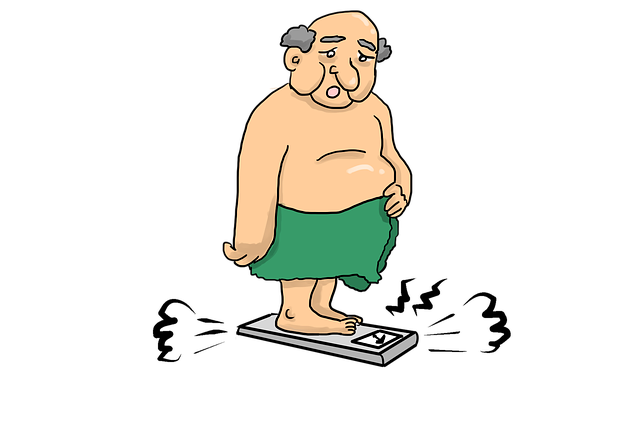 Calculating your BMI - The doctor can calculate your BMI to know the level of your obesity. 4. Measuring the perimeter of your waist - The fat accumulated around the waist which is called stomach fat. It can increase the risk of many diseases. Such as - diabetes and heart disease. The goal of treating obesity is to reach and stay at a healthy weight. You may have to work with a team of doctors - a dietician, behavior consultant or obese specialist to understand and change your eating habits and physical activity habits. All weight loss programs require an increase in your eating habits and physical activity. Other treatment tools include dietary changes, exercise, and physical activity. Avoid unreal diet changes, such as Crash Diet, because they weaken your immune system and increase the risk of dehydration in you. Continue the weight loss program for a minimum of 6 months and keep the program maintenance phase for at least one year for good results. Reducing calories - You can reduce your weight by lowering your calorie intake. You and your doctor can monitor your eating and drinking habits, how much calories you are usually taking, and you can cut down. You and your doctor can decide how much calories you need to take each day to lose weight. There is a normal amount of 1,200 to 1,500 calories for women and 1500 to 1800 calories for males. Fill up full stomach - by eating low-calorie foods in large part, you can reduce the pain of hunger. Make healthy choices - Eat fruits, vegetables, and whole grains carbohydrate to make your whole diet healthy. Also emphasize sources like proteins like pulses, soya and meat (non-fat). If you like to fish, try adding fish twice a week. Reduce the amount of salt and sugar. Eat low-fat dairy products. Eat small amounts of fat and ensure they come from heart-healthy sources, such as olive, canola and walnut oil. 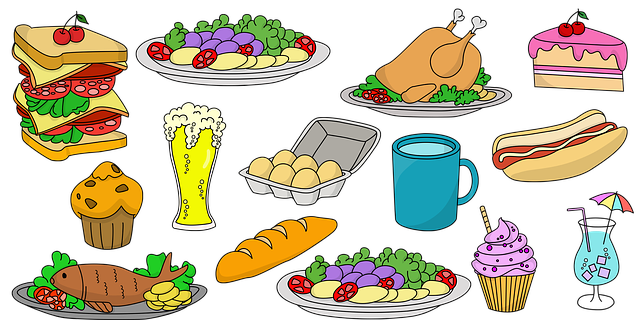 Limiting some foods - Some diets limit the amount of a special food group, such as high carbohydrate or full-fat foods. Ask the doctor what diet plans are effective, which can be helpful for you. By drinking sweet beverages, you will consume more calories, and it is a good start to limit or completely eliminate these drinks. Replacement of food - You can replace one or two of your diet with calorie shake or mile bar. Take a small number of calories and fat in your third diet. Physical activity or exercise is an essential part of the treatment of obesity. Most people who are able to maintain their reduced weight for more than a year, they exercise regularly, which includes only walking. Exercise - People with overweight or obese need at least 150 minutes of medium-intensity physical activity to lose weight or to reduce the amount of normal weight. For more weight loss, you may need to exercise 300 minutes or more a week, you gradually increase the amount of your exercise because it can improve your endurance and fitness. Aerobic exercise - Regular aerobic exercise is the most effective method of reducing calories and reducing excess weight. Making simple changes during your day can make a big profit. There are many medicines available for obesity. All these medicines are given below. But keep in mind that without consulting the doctor, please do not take any medicines. By taking medicines without the advice of a doctor, your health can be seriously damaged.